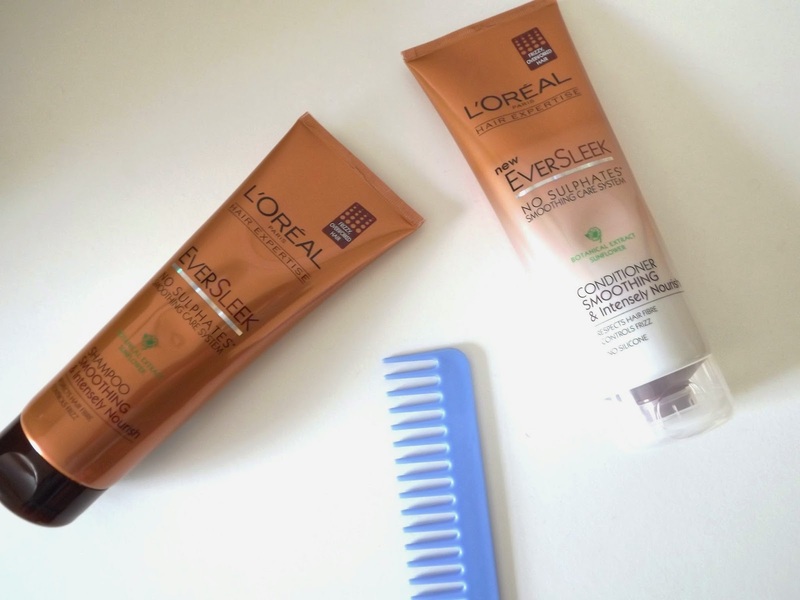 I was running out of my usual shampoo and conditioner and was in need of something new so decided to purchase the L'Oreal Expertise Ever Sleek Shampoo and Conditioner which was on offer at my Local Tesco. They made it ever so difficult for me to choose the right one as they seem wholly incapable of putting the bottles next to the specially made signs telling you which hair type each product was designed for. I finally figured out that the ever sleek products are for normal-frizzy/coarse hair. I never really know what my hair type is but it does have a tendency to be a tad frizzy and snap quite easily so I thought this product would suit my hair well. Only after a few uses I have noticed a significant difference with it reducing the frizzyness and flyaways, which really bug me, and it leaves it feeling fluffier and stronger. The only issue I have, and it really is only a minor issue, is that the amazing smell of the product doesn't last for as long as I hoped. Despite this I generally think this product is pretty amazing and lives up to what it says, doing exactly what it says on the bottle and will definitely be repurchasing it when I'm all run out.